It's Mask Monday again! Today's mask of the day is My Beauty Diary's Bird's Nest Mask. Bird's nest as an ingredient in skin care products might sound strange for some, however, it is very popular in Asian countries. Bird's nests became popular due to its famous delicacy, the bird's nest soup. The bird's nests are prized for their high nutrition values and now a days are used in various dishes and beauty products. I was drawn towards this masks due to its bird's nest ingredient. The last time I had bird's nest soup was about 5 years ago at a wedding and it was interesting to say the least. So when I saw these masks, I knew I'd want to try them out. After all, I've tried the soup so might as well try the skin care products too! 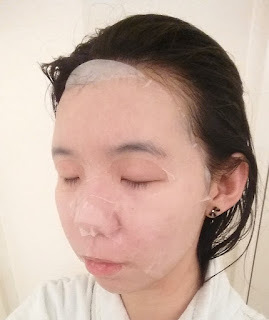 I have been using My Beauty Diary masks for a long, long time now. They were actually one of the first masks I've ever tried. I picked up these Bird's Nest Masks about a year ago and just finished the last one. Let's jump in to get to know these masks more. 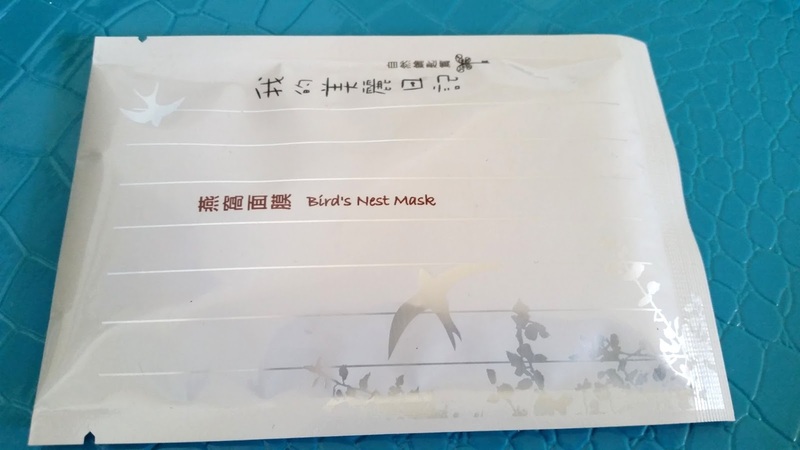 Product Description: A facial sheet mask formulated with bird's nest, Centella Asiatica extract, aloe, soy protein and more. It works to nourish, brighten, firm and moisturize the skin. The mask is designed to provide a lifting effect while delivering moisture deep into the skin. 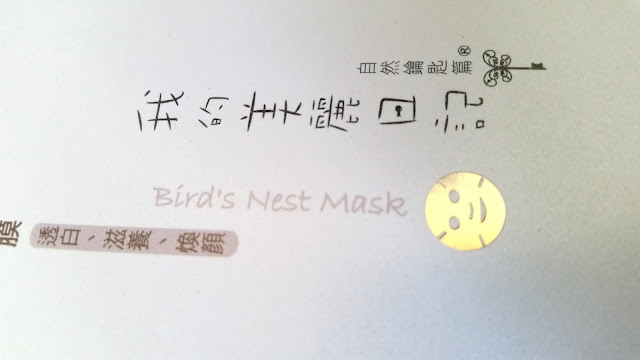 The bird's nest mask can help enhance the skin's defense, translucency, and soothe the skin as well. 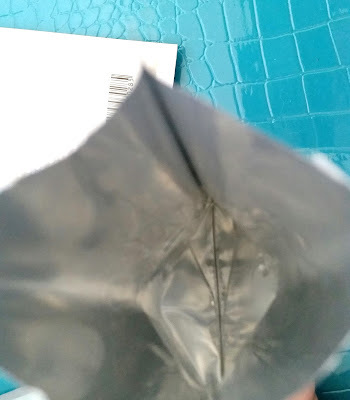 To use: Take the sheet mask out of its pouch and remove the protective plastic backing. Place the mask on the face and leave it for 20 to 30 minutes. Remove the mask and massage in any remaining essence on the face. Ingredients: Water, Glycerine, Propylene Glycol, Butylene Glycol, Phenoxyethanol, Chlorphenesin, Polysorbate 20, Triethanolamine, Gentiana Lutea Root Extract, Sodium Hydroxide, Citric Acid, Centella Asiatica Extract, Swiftlet Nest Extract, Kappaphycus, Hydrolyzed Soy Protein, Aloe Barbadensis Leaf Juice, Gentiana Lutea Root Extract, Codium Tomentosum Extract, Dipotassium Glycyrrhizate, Malva Sylvestris (Mallow) Extract, Saccharum Officinarum (Sugar Cane) Extract, Acer Saccharum (Sugar Maple) Extract, Sodium Hyaluronate, Carbomer, Iodopropynyl Butylcarbamate, Xanthan Gum, Sodium Hydroxide, Fragrance, Glycosphingolipids, Tocopheryl Acetate. Packaging: My Beauty Diary masks come in a box of 10 (see picture above). The box itself is simple and to the point. The English version looks a little different than the one I have here, however, both provides the same point. The box is actually printed with soy ink, making it more environmental friendly. Each mask pouch houses one sheet mask and a plastic sheet mask backing. 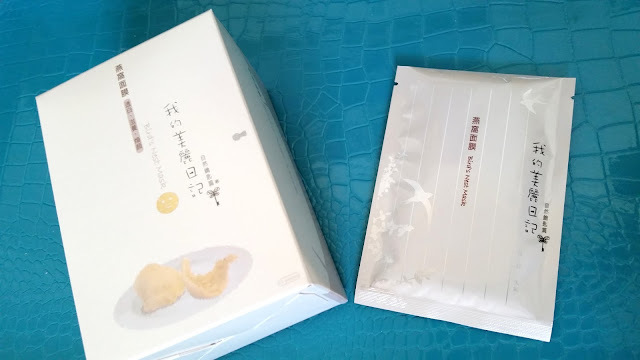 The mask pouch has a cute design on it with ingredient list, how to use, and other information on the back side of each pouch. These information are also included behind the box packaging. Scent: The mask contains fragrance with a hint of floral scent. It's not strong or overwhelming and smells quite nice to me. 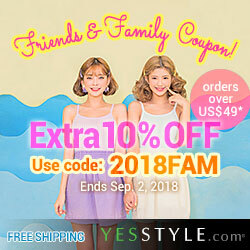 My Thoughts: My Beauty Diary masks used to be hard to get and priced a bit high too. However, now they are more easily accessible and can be much cheaper. So I finally get to try a variety of them that I didn't before. Generally, My Beauty Diary masks are less than $1.5 a piece, making them a cheap but good mask for every day use. Of course, you guys know me, it's hard to do masks every day. That commitment takes time, of which I don't always have. So I use them whenever I can and they are always moisturizing on my face because they are soaked in so much essence. You'll see in the picture below that there's always so much essence left. I use the left over essence for my neck, elbows, knees, etc. 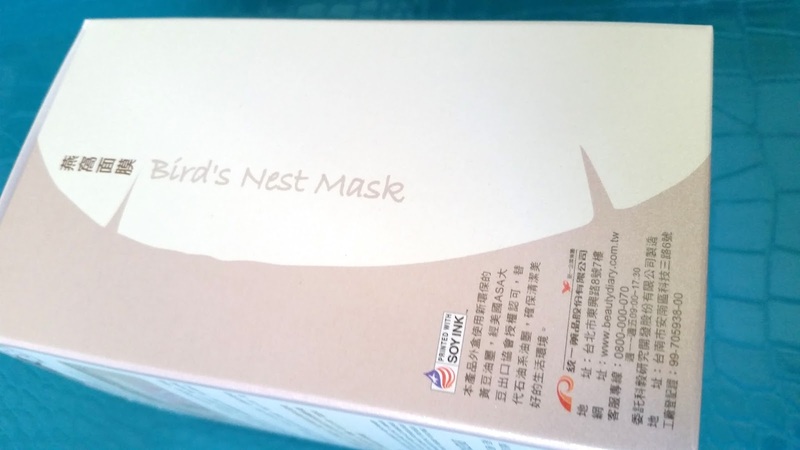 The bird's nest mask is said to moisturize,soothe, nourish, brighten and firm the skin. While I've seen its brightening effects (which sadly doesn't last more than a day) and it's moisturizing and soothing effects (which are indeed very effective); I've yet to notice much of the firming effects. It's hard to say whether it truly nourishes the skin or not because it's not something that you can feel or see within 10 masks. At least I couldn't. However, this is a really moisturizing and soothing mask and it always feels so amazing on my sensitive skin, which is one of the many reasons why I use it. I think I am particularly drawn to My Beauty Diary masks because of their sheets. The sheets are easily tear-able, making it easy for me to adjust the mask to fit my face. You'll see in the last picture of this post where I tear my mask. Generally, I find the forehead and chin areas to be too large and the nose area to be lacking. So I like to rip off tiny pieces from either or both areas and apply them to where it's lacking on my nose tip. This way, the mask sits better on my face and it's covered nicely with no air bubbles. I also like to tear the areas next to my eyes on the nose bridge a bit, for it to sit flat on the nose instead of it not touching the nose bridge at all. Some times I also tear the nose slit a bit higher too, so it fits better. My Beauty Diary masks also comes with a lot of essence (see picture above) and I always use the excess. It's not enough to make a second sheets mask, however, it's enough to use it as essence over the whole body. Which is what I do on days when I use any My Beauty Diary masks. I'd also put lotion on after and it's like a double moisturizing treatment for my body! Final Thoughts: I definitely love these masks and will most likely repurchase them in the future. They are inexpensive and easy to use. They also comes with plenty on essence and feels amazing on my sensitive skin. While the not firming part might be a bit disappointing, it's not too big of a deal because this masks offers plenty of benefits already. 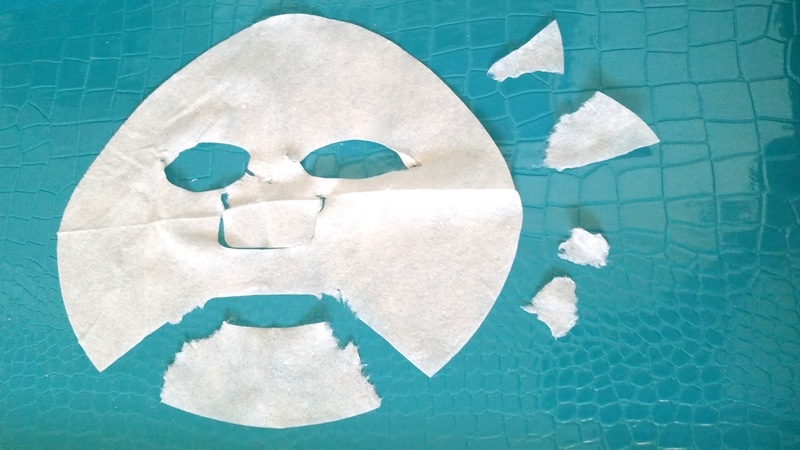 I think My Beauty Diary actually came out with new sheets for their masks and they are no longer as easily tear-able as the ones I have. But they are suppose to be better quality. I will have to get some and try them out.